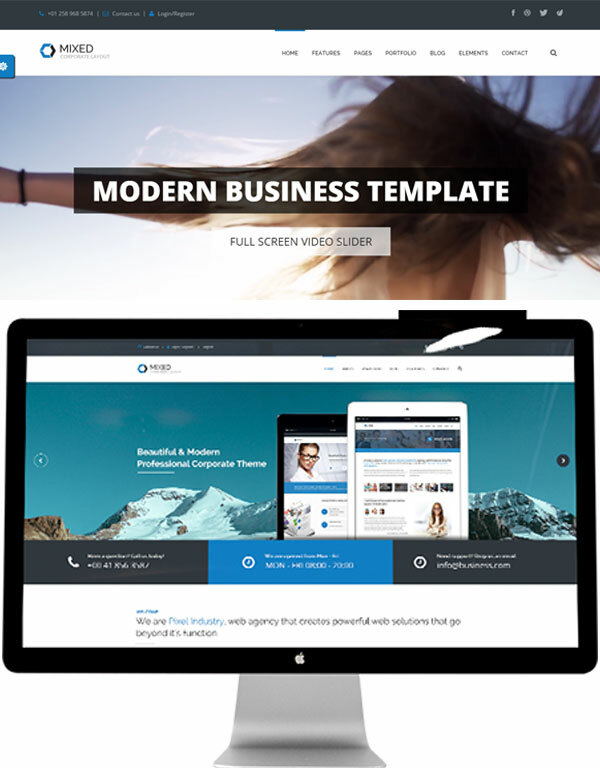 Mixed, modern, multipurpose, professional and pixel perfect HTML template. Mixed offers unlimited design options to create almost any type of website, from professional business agency, creative portfolio, personal portfolio, landing page and so much more. It’s easy to customize, followed up with detailed documentation. You’ll have your site up and running in no time.